Three chalets and two refurbished rooms built on ecological principles provide a total nature getaway in the middle of St. Martin Vésubie village. Designed with respect for the environment and personal re-centring at their core, these spaces provide total serenity and well-being. Ideally located close to the village, the ecolodges also boast panoramic views over the valley and surrounding forest, offering a romantic and replenishing stay with a focus on providing a “totally natural” experience. 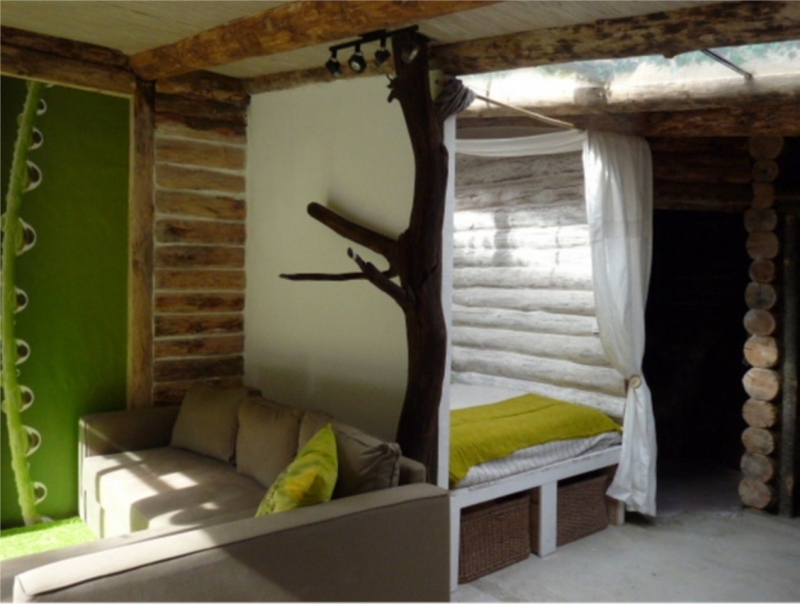 The chalets were made using exclusively ecologically sound materials from the structure and décor to the bed, bed linen and decorative items - for instance, one of the chalets was built around a giant spruce tree. The décor of the chalets, natural stone maisonettes, and wooden cabins favours gentle light tones and natural materials creating an intimate atmosphere perfect for aromatherapy baths, meditation and yoga. Similarly, the outside pond, riverbanks and managed fields invite guests to immerse themselves in their totally rural getaway, and enjoy refreshing walks and other leisure activities. Balanced gourmet and organic breakfasts are provided, as well as tasting sessions of vegetables from the garden and wild herb infusions.